Born of people's need to compare the Sith and compile a mental list of the greatest Sith ever alive, here are the top 10. It's possible you may not recognize them all because most of them don't appear in the movies, but I'll introduce them to you. Everybody knows the power the dark side of the Force wields, but these Sith Lords know the true meaning of "unlimited power." Once, they had it all within their grasp, but the Law of Two always messes up their plans. For those who don't know, the law of two requires that the Sith always be two—a Lord and an Apprentice. I'm fully convinced that, without this law, the Sith would reign supreme—as Darth Sidious explains, "The dark side of the Force is a pathway to many abilities some consider to be unnatural." Midi chlorian measures the potential of a Force Sentient, and Anakin Skywalker was the Jedi with the highest midi-chlorian levels of all time. However he never reached his full potential, leaving him in 10th place. Anakin thought the only way to save his wife's life was to join the dark side. This motive—added to the fact that he was carrying a profound anger and sense of loss inside of his heart—led to his fall. Apprentice to Darth Sidious, then known as Senator Palpatine, he became Darth Vader and killed all the Jedi in the Jedi Temple. Obi-Wan Kenobi, his former Jedi Master, dueled him in Mustafar and won, leaving Vader to die in a lava bath. Darth Sidious saved Vader and enclosed him in the iconic life-sustaining dark suit he wore for the rest of his life. However, his duel with Obi-Wan Kenobi was his downfall, as his injuries prevented him from reaching his full potential. Though he never became as powerful as he could have been, Darth Vader served under his lord and became the ultimate Jedi killer. He made it his personal mission to conduct the Great Jedi Purge. During this time, true to the Law of Two, Vader was already planning to overthrow Darth Sidious and become Sith Lord himself. He secretly trained an apprentice for when that day came. Sadly for him, the apprentice turned to the light side and was the one responsible for the start of the Galactic Civil War. Vader then started to train apprentices with the consent of Darth Sidious, and his greatest apprentice was the Sith Lady-to-Be Lumiya. At the end of the Galactic Civil War, Luke surrendered to Vader, who took him to the throne room of the second Death Star. 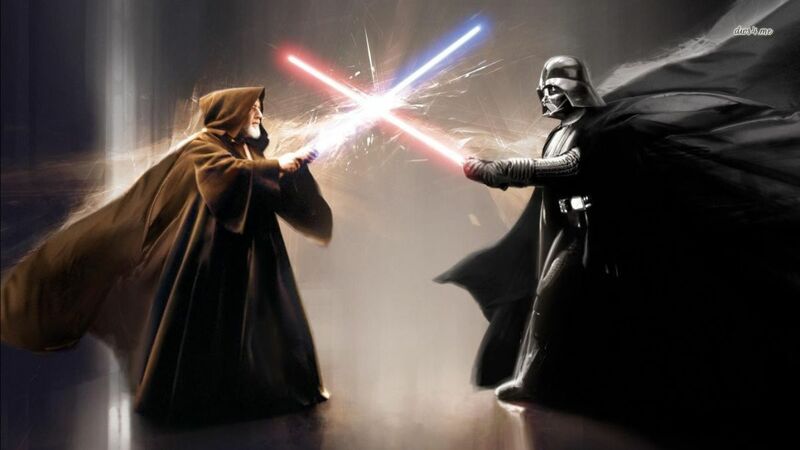 There, Darth Sidious made Luke duel his father, Vader. Vader lost, and Luke refused to kill him screaming, "I am a Jedi, like my father before me!" This made Vader feel proud, and as Sidious attacked Luke with Force Lighting, Vader killed his son's aggressor, fulfilling the prophecy that he was the chosen one to vanquish the Sith. Darth Bane is the Sith Lord responsible for creating the Law of Two, a fact that highlights his importance. He also marked his place in Sith history when he created his own Sith Order. Bane was instructed in the old Sith Order by the Sith Council that existed back then, but he thought it was a weak council. So he studied Darth Revan's holocron, and, armed with his strength and new knowledge, he destroyed the old Sith Order in order to create his own. When Bane was attempting to create his own holocron, to pass down to further Sith Lords, the Jedi sent a task force to kill him. Although outnumbered, the Sith Lord and his apprentice killed every single one of the Jedi attackers. In his later life, Bane, began to worry that his apprentice, the female Sith Zannah, was too weak to overthrow him, as is needed in the Law of Two. He began looking for a new apprentice—but it wasn't necessary, as Bane had underestimated Zannah. The apprentice went on to kill him in a lucky shot. Years Later, Bane's Order overthrew the Republic. Freedon Nadd was a Sith Lord in a very ancient world. His era far precedes that of the previous Sith. Though he was once a Jedi, he killed his master and fled to join the old Sith Order, under the apprenticeship of the Sith Lord Naga Sadow. He was a sorcerer-like Sith who controlled the Force better than the lightsaber, and after he thought he had learned everything he could from Naga Sadow, he destroyed his master and became Dark Lord himself. He ruled over Onderon all of his life. After his death, he was entombed there, and his tomb remained a powerful hotspot for Sith power. A great deal of time later, King Ommin resurrected Freedon Nadd, and he took a new apprentice, one that was meant to be the greatest and strongest Sith Lord of all time. Ulic Qel-Droma was a Jedi on a mission, pretending to be a dark Jedi. However he was injected by a rage-augmenting chemical that made him slowly fall to the dark side. He then went to meet Nadd's apprentice—that's right, the greatest Sith Lord who ever lived, whom I shall not name yet. He dueled this great Sith to see who would become the Dark Lord, but Freedon Nadd's spirit interrupted and declared them both Sith Lords. They then began an assault on the Republic, during which Ulic Qel-Droma coldly killed his Jedi brother. 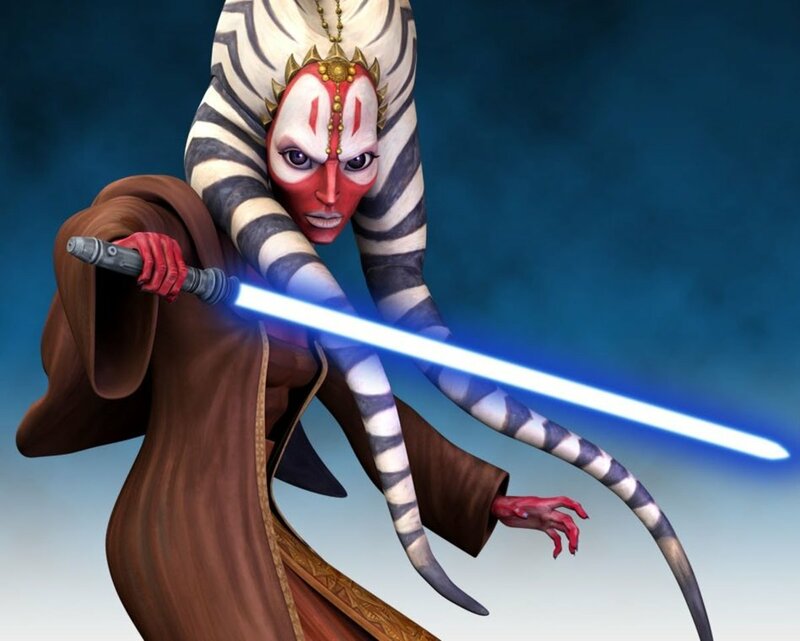 Nomi Sunrider, one of the greatest Jedi ever, was so enraged by the fratricide that, through her power, she severed Ulic's connection with the Force. He slowly became remorseful of his actions, and eventually led the Jedi and Republic forces to the stronghold of the greatest Sith Lord ever. Together, the Jedi and Republic killed the Sith Lord in an epic battle. Ulic then exiled himself and took Nomi Sunrider's daughter as an apprentice. Marka Ragnos was the best duelist of the entire Star Wars Saga. If you love lightsaber combat, you will love Ragnos. He was famed as the best, and defeated any who opposed him in single combat. However, his control of the Force wasn't top notch. Nevertheless he took another great Sith as an apprentice, Darth Vitiate, and he even came back as a spirit. In life, he reigned supreme and unchallenged for more than one hundred years. His spirit wandered for millenniums, but eventually he got sealed off by a Jedi forever. Revan is my favorite character. He was a Jedi who desired to protect the countless lives on the outer rim that were threatened by the Mandalorian invasions. However, the council refused to let him or any Jedi intervene in the war. So Revan, displaying the best diplomatic abilities and leadership virtues of all the saga, mustered an enormous number of Jedi to go fight with him, disobeying the council. His padawan Malak followed him, and that group won the war for the Republic. But they didn't return. Instead, they found the Star Forge, an automated shipyard that allowed them to produce an immense fleet and give them power, which seduced them to becoming Sith. Darth Revan became the Lord of the Sith and Malak his apprentice. 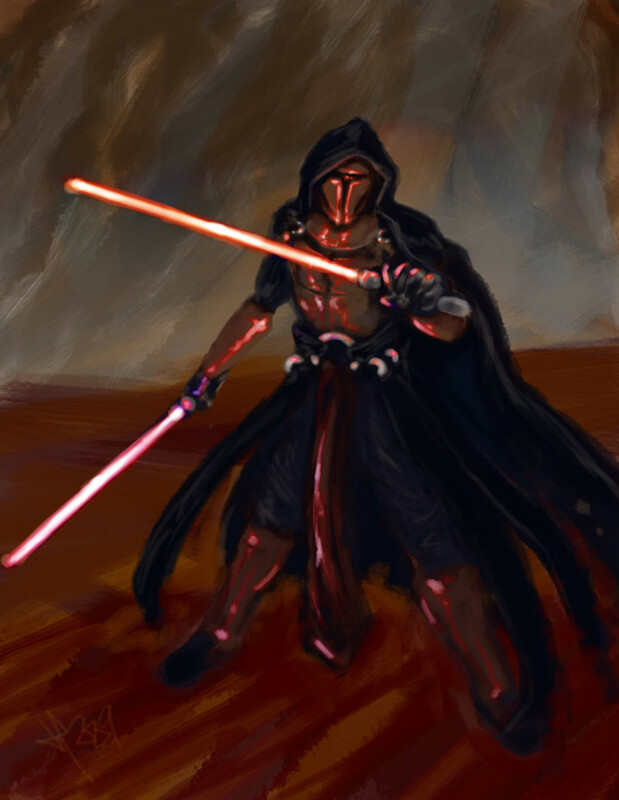 Revan was also known as a really powerful Sith Lord, able to turn Jedi at will and gain allies from everywhere. He was later captured by the Jedi and brainwashed to convert back to the light side. As a Jedi once more, the third most powerful Jedi ever, Revan defeated his apprentice, now Dark Lord Malak, and was declared the hero of the Republic. Perhaps you will be disappointed by this choice, but I have to make it. Plagueis wasn't the best with the lightsaber, and even if his strength was Force control, he doesn't excel at it. So why did I chose him? He was the Sith's ultimate scholar. He was obsessed with tricking death and achieving immortality, and he conducted lots of experiments resulting in extensive knowledge. This knowledge made it possible for future Sith, like his apprentice, to cheat death. And who was his apprentice? Darth Sidious, the Sith you may know as Senator Palpatine. That's right, meet the master of Darth Vader's master. Darth Vitiate killed his father with only a thought at the age of 10. He later went on to kill off an entire planet, including numerous Sith Lords, and absorbed all of their power. In doing so, he became immortal—almost (he passed away milleniums after his birth). Vitiate was the Sith Lord who reigned the longest. He also once bested Revan and was Darth Plagueis's muse since Plagueis envied his knowledge. Darth Sidious was an apprentice to Darth Plagueis. He took the life of a politician as a facade to hide his true intentions of taking over the galaxy. While still an apprentice, Sidious took an apprentice violating the rule of the two: Darth Maul. He usurped the throne of Dark Lord of the Sith by killing Dark Plagueis in his sleep. Later, he turned Jedi Knight Anakin Skywalker into his apprentice: Darth Vader. With Vader, he purged all of the Jedi he found and took over the galaxy, forming the Galactic Empire. He reigned supreme until he was killed by Vader when he was trying to kill Luke with Force Lightning. However, he was so powerful, he didn't stay dead. He took the body of his clone and was forced to change bodies often to stay alive. He even managed to turn Luke Skywalker for a brief period of time. One of his allies sabotaged his fresh supply of clones, and Sidious, with no body to occupy, desperately tried to take the body of Anakin Solo, Vader's grandson and the son of Leia and Han Solo, but he didn't succeed and finally perished. Kun was a Jedi that wanted to get stronger and stronger. His desire for power was so strong that he left the order in pursuit of forbidden teachings. In the end, he achieved his goal by becoming the most powerful Sith of all time. When Kun left the order, he entered the tomb of previously discussed Sith Lord Freedon Nadd. Freedon Nadd taught him everything he knew before getting killed. Exar Kun later traveled to Yavin 4, where he amassed even more power. Kun killed entire Sith Cults that were too powerful for his liking. He stole a very ancient Sith holochron, which he used to gain even more power. He used his power to turn many Jedi Padawans to the dark side and convince them to kill their masters. Exar Kun later went and killed the supreme chancellor, and he dueled the grand master of the Jedi Order, who was no match for him. The foundations of a well-established Sith Empire were laid. When he was attacked by the traitor Ulic Qel-Droma and his thousands of troops, he separated his body from his spirit. Nomi Sunrider and thousands and thousands of Jedi managed to incarcerate Exar Kun in a temple forever. Or not quite forever, as forever is a long time. When Luke was already the grand master of a new Jedi Order, Kun tried to turn his students, killing one in the process. He even separated Luke's body from soul but was defeated by the combined power of all of Luke's students. 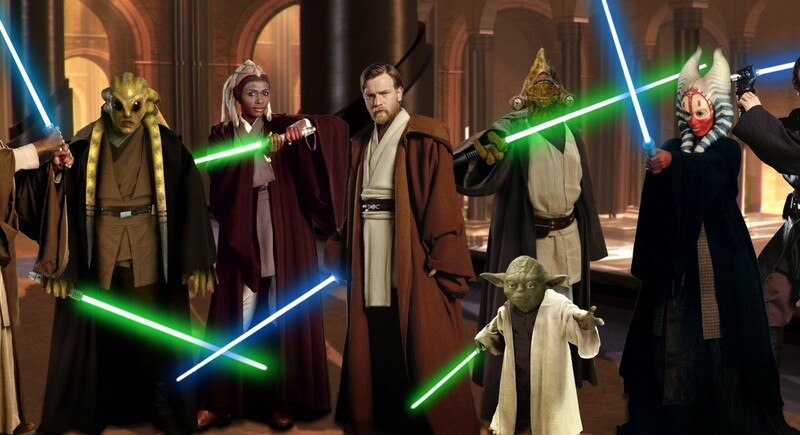 If you liked this list, check out my article on the 10 strongest Jedi of all time. Vader was an apprentice and never the master with his own apprentice in Canon currently. Also in Canon he could produce force lightening but chose not to because it caused himself pain as a result of wearing conductive armor. Marka Ragnos was not a great dueller and he was one of the strongest force users, virtually the opposite of whats said here. He could literally pull all the dark side energy around him into his body so he was unwoundable. He didnt need to be great at duelling, WHICH HE WASNT, because he couldnt be harmed anyway. So I guess he could have been placed higher but the main issue is the whole factual ignorance. 9 days ago from U.S.A.
And what about nihilus-most powrfule user of force? Nice list but i would have included Nihilus. Maybe put Palpatine lower too. Starwars ,Wtf is star trek again? Sorry Nerds! It's Vader . Idc who was what 1000 years before him. Or who is trying to out do him now. In the Novels or the movies. Darth Vader! If you only knew the power of the Dark side!! Darth Nihilus was the strongest due to the fact that his own body couldn't even survive with the amount of the force that he had so he LEFT HIS BODY and STILL SURVIVED and LITERALLY USED THE FORCE TO HOLD ROBES AND A LIGHTSABER. Plus let's not forget the fact that he could drain ENTIRE STAR SYSTEMS from there energy and technically, HE NEVER DIED. They couldn't kill him so they stuffed him in a holocron. Why is he not even on the list!!!! I find your lack of Darth Malgus disturbing. What i know from the EU lore, the strongest goes to vitiate, follow by Revan, Exar, and Nihilus because revan can use light and darkness of force, exar extract his spirit from his own body and nihilus scary power. The rest is below them. you left out Darth maul dude!!!!!! Lol... Sidious above Vitiate. And you included Vadar but left out Nihilus? Vadar was a joke. Marka Ragnos wasn't invincible in lightsaber comabt, that was Tulak Horde. Marka Ragnos wasn't weak with the force by any means. Infact, his connection to the dark side is one of, if not THE strongest in the entire EU. Saying he was better at lightsaber combat than with the force is like saying a jet is faster driving on land. I agree, I think that Palpatine is weak, too! Palpatine was weak! He should not be on this list! Vader should be higher, in the Clone Wars, which is canon, he was able to subdue the Ones, the most powerful force entities ever, a feat almost no one could ever do. No joke all these comments saying Vader should be higher and so on must be trolling. I don’t see how, In my opinion sidious means nothing to the ancient sith. Sidious should be no 1. He is the most powerful sith lord. Vader doesn't use force lightning because he doesn't have hands. What part of him would the force lightning come out of? I agree that Exar Kun is 1, but Nihilus has to be 2, because he could destroy entire planets with force drain by HIMSELF. This is a feat even Vitiate could not perform, he needed 8,000 other sith to do this. This list, by not including Nihilus at all, must be deemed inaccurate or biased. What about Galen Marek? Vader made the list, but not Starkiller? Starkiller could destroy Vader if he had learnt only a little bit more. So did we forget about Jadus and Nihilus? Why is Sidious even up there? Revan and Malak were not seduced to become sith by the star forge. After the Mandalorian war, they ventured into the unknown region of the galaxy and found Darth Vitate's desolate and void home planet. They discovered that the sith were in fact, not extinct, after the great hyperspace war. 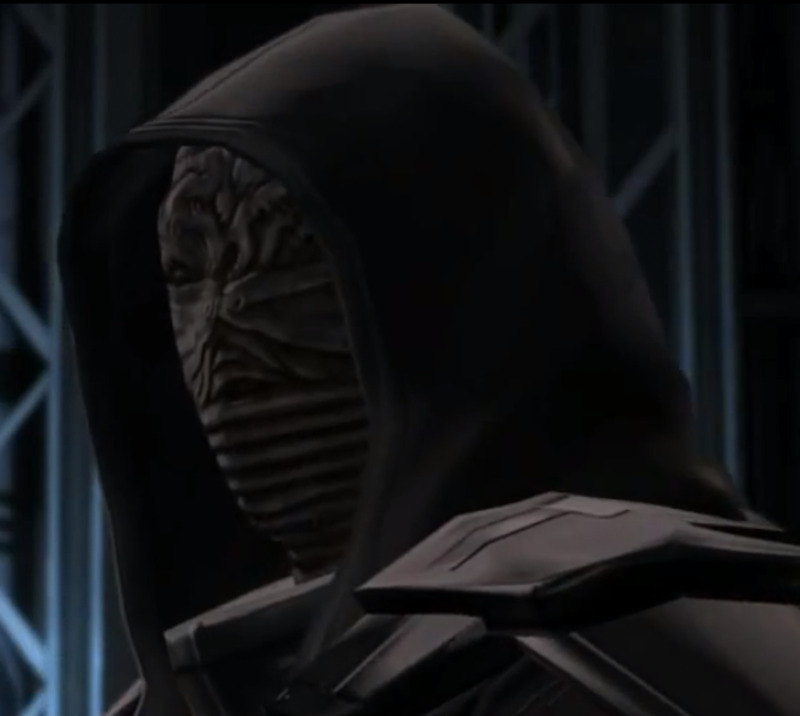 They then found Dromund Kaas (the sith home world) and attempted to kill Darth Vitate. Revan and Malak stood no chance against Vitate's ability to overwhelm minds, and they were forced under his will. Vitate sent Revan and Malak back to republic space as sith. Sidious wasn't actually very powerful at all compared to some others. Sidious was smart and strategically gifted. However in raw power, both with saber and with the force. he was actually quite weak. Even his master was more powerful than him, Hence his need to kill him in his sleep. Though its worth noting that plagueis, once again in raw power, was also not overly powerful. He was unbelievably smart and knowledgeable, hence the title "the wise". In raw power, Vader is actually incredibly strong. In both Force and Saber. He mastered a very difficult form of saber combat said to be unbeatable and also had incredible force power though perhaps lacked some of the technique. There is a "quizz" at the start of this article that has an answer stating that dark vader couldn't use force lightning, this actually isn't true. He can in fact use lightning the problem is that he has so much power that he can't control it properly and will actually harm himself as well as his intended victim. I feel like Count Doku is missing from this list, while not incredibly powerful, if you're going to count the weaker sith like sidious i feel he deserves a mention, he is one of the few that managed to master the saber style i mentioned previously, along with vader. I agree with number 1, Exar Kun would be the most powerful, i believe darth Nihilius would be second, he had power much like that of Exar Kun but followed it to a lesser extent and to less extremes. 3 is i think would be Freedom Nadd, 4 would be Revan and 5 would be Vader i believe even if he did somewhat lack finesse. Sidious is most powerful sithlord ever dickass! Actually the rank of lord was a rank that you got from youre master in the time of the sith order to show that youre kindof higher up but in the time of the rule of two both sith would have it. This list is inaccurate for a bunch of reasons. 1. the strongest lightsaber duelist wasn't Marka Ragnos, it was Tulak Hord. 2. Palpatine wasn't the strongest, but the smartest sith because he won by plotting, not by fighting. He was defeated in lightsaber combat by Windu and was so deformed he could only use his force-lightning which wasn't all that strong. 3. 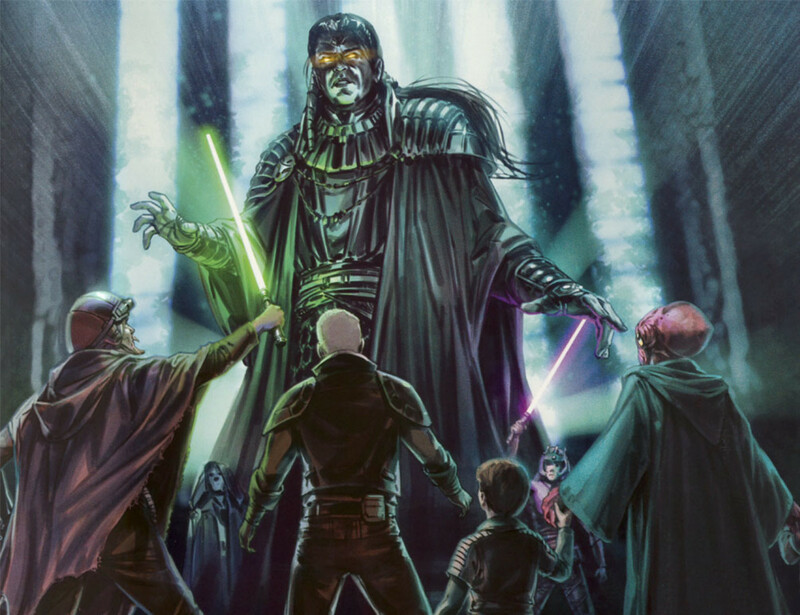 A Top 10 sith list without Nihilus will always be considered biased because Nihilus is, simple as that, one of the most powerful and darkest sith to ever live. He could eat life on entire planets by absorbing every bit of force from there and cheated death by binding his own soul into his mask. Darth Maul will always be my favorite, but since you put Revan again, Revan was the Ultimate Sith Lord. In fact, he was more than that, he became the strongest Sith, Jedi, and Warrior of all time. Don’t any of you people think Darth nihilus should be 2nd or 3rd cuz he can litteraly drain life out of living things and he is very hard to kill because force powers have no affect on him. Okay, Darth Bane paved the path to success for the Sith and outsmarted hundreds if not thousands of Sith and Jedi. Not to mention he stayed one step ahead of the Jedi at every turn and kept the Sith a secret through brutality and created the New Sith which conquered the Jedi. Had he succeeded in taking over Zannah’s body and kept taking over his apprentices bodies, he would have kept the Sith together, unlike Palpatine, Vader, Plagueis, and all other Sith in the movies. They broke multiple rules of the Sith code. Including but not limited to: the rule of two which states there can only be two Sith at any given time. Also, I believe Bane would have dispatched Vader when he start showing signs of caring for Luke. Also, the Jedi would not have suspected him as early as they did Palpatine, even though Palpatine did his best not to be caught. Also, he could have easily killed Mace Windu. Also, Anakin could not use force lightning because of his gloves. To the person who said Revan could still be alive because SWTOR is not cannon missed one crucial detail. KOTOR 1 and KOTOR 2 are not canon either. When Disney bought out Lucas they put everything except the 6 movies (prequel trilogy, original trilogy), The Clone Wars animated movie and The Clone Wars cartoon series into Legends. Legends are considered not canon sorry. Also Scourge betrayed Revan because he had a vision that Revan wouldn't be the one to defeat Vitiate. In the vision Scourge also learned that he had to betray Revan so he could keep his position as the Emperor's Wraith. 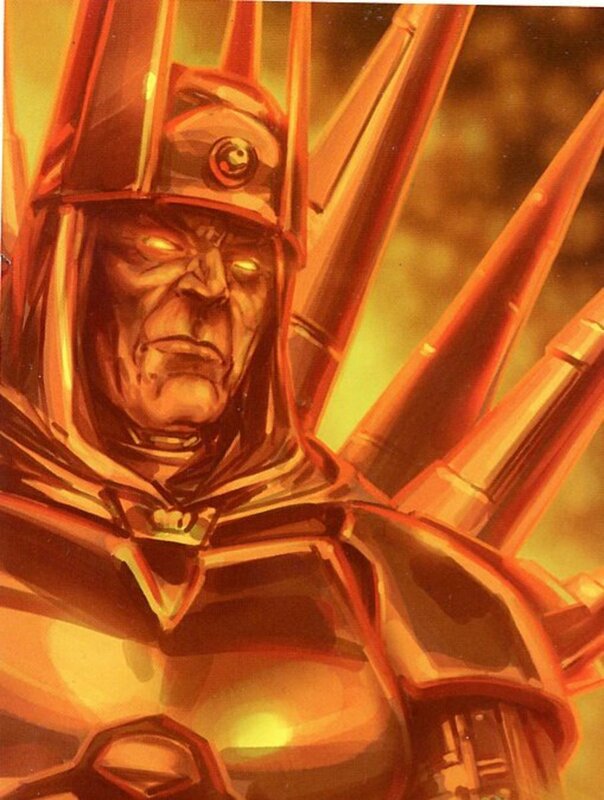 He needed the Emperor to use his knowledge of Sith Alchemy to prolong Scourge's life the 300 years it would take until the one destined to destroy Vitiate. He had to do this because the force vision Scourge had also clearly showed him that he had to aid the one who would eventually come to destroy Vitiate . If you are curious about Revan's story read the Legends novel entitled Revan. Or get the audiobook, Star Wars audiobooks have a great production value compared to any other audiobooks I have listened to. 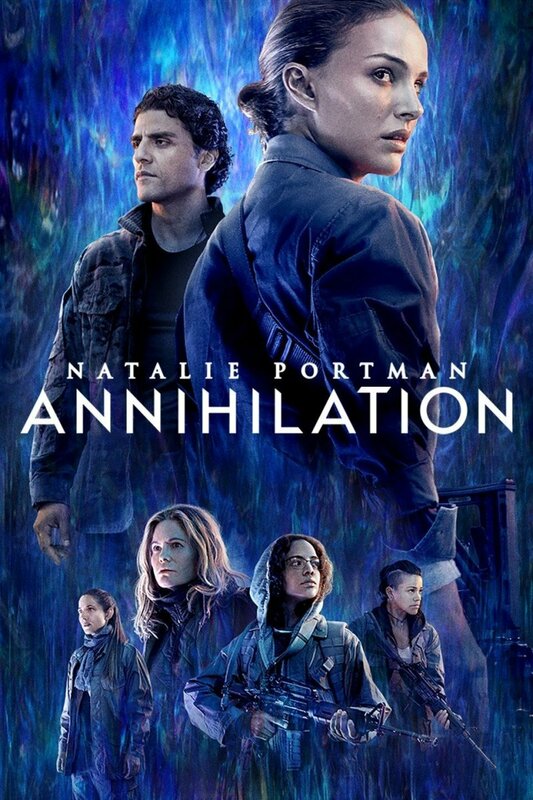 Sound effects, music, great voice acting by the narrator, and sometimes they even have different voice actors for different roles then a narrator as well. So many people cry whenever Nihilus is not listed as one of the most powerful sith of all time. Well he wasn't when you get past his cool outfit and the singular power he mastered force drain. Yes he killed entire planets worth of people with the power, but even he didn't truly understand his use of that power. For one he wasn't strong enough to contain all of the power he absorbed causing his body to wither and die. He was able to contain his essence into his mask and robes. Had he been more powerful or wiser perhaps he wouldn't have destroyed his body by over using force drain. Secondly had he been wiser perhaps he would've understood that due to his near death on malicore V the more he used force drain to feed his newly found hunger the stronger his hunger got. This hunger eventually took complete control over his actions to the point where it became the demise of his physical body. As far as other powers in the force he was weak to average at best. Even with all that power he had absorbed. 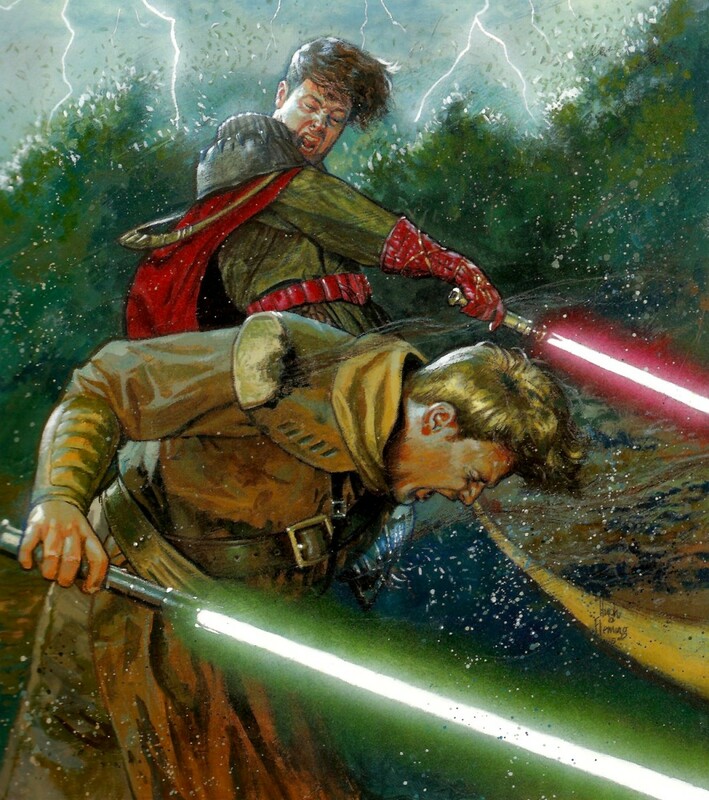 His lightsaber dueling skills were also woefully lacking, again even with all of that force power he had absorbed. In my opinion Sion and Kreia were both more powerful. Kreia also in wisdom for sure. Sion was powerful enough to stop his own death until he let go of his anger and hatred. Another reason people over estimate Nihilus's power is because he could take force lightning to the face and become stronger. The reason behind that is two fold, the first because he was (to the best of my knowledge) no longer coporial when this happened. The second being he use the way force lightning worked against his enemy and used the power they were releasing as another way to absorb their force powers to feed his hunger. I find Nihilus to be a great villain for a Star Wars story. He was the physical embodiment of the Star Forge, Death Star, or Starkiller base. But Bioware didn't rehash the same old Star Wars plot of a massive technological terror unleashed by the Sith upon the galaxy far far away. 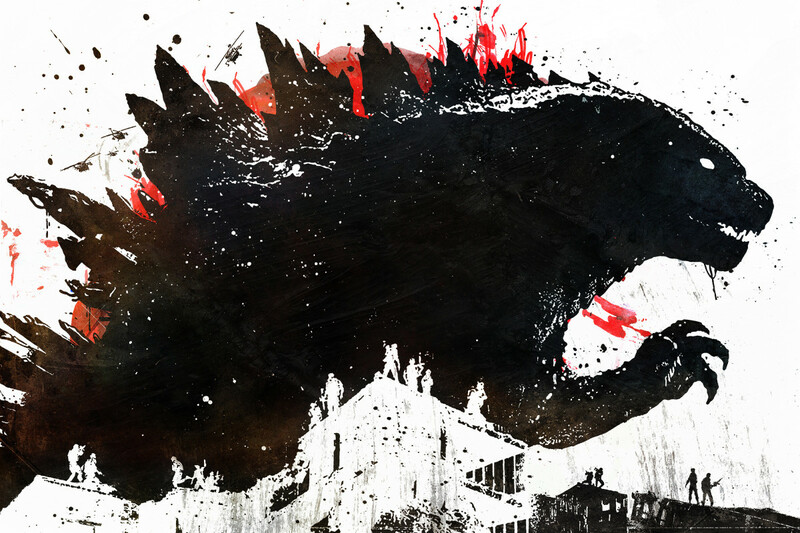 Instead a flesh and blood terror on the same level as those technological terrors. That being said I still believe anyone putting Nihilus in the top ten most powerful Sith have greatly over estimated his powers. I am not hating on anyone who thinks Nihilus is one of the most powerful Sith ever. I am just expressing my opinion that they are wrong and giving the reasons why I believe it. Darth Nihilus should definitely have a place here. He literally sucked the force out of every living thing. And getting shocked by force lighting just made him more powerful. Revan had almost ruled the galaxy, while technically so did others, but Exar Cun didn't, so that would make Revan at least 2nd or 1st and then Exar cun would be third. Revan also battled Madalore himself defeating him. This shows that Revan had good lightsaber skills Revan also became very wise. He knew many things that jedi didn't. He studied holocrons and scripts about the ancient history of the galaxy. Having this knowledge, would make him very powerful. I think these three reasons, give enough to make him get into 1st place. But I do understand why you put him there and why the other sith are in those positions too. you said holochron. its holocron. After Revan returned to face Vitiate and used Force Harmony, Scourge (after betraying him) realized Revan would have won if he hadn't been betrayed by Scourege. Which is the basis of why he joins your character in the MMORPG. Besides that, Revan conquered nearly the whole galaxy repeatedly on different sides in just a few years each. Even against factions that curbstomped everyone else. He was so powerful some sectors literally worshipped him even centuries after his disappearance. He also never even died to the lore’s knowledge as Shadow of Revan is explicitly non-cannon in a Q&A so we only know he disappeared in the Foundry. After curbstomping dozens of people at the level of a Darth or Mandalore and destroying their fleet with his mind. When Vitiate tried to draining Revan's power, Revan instead stole his and bound him to inactivity for hundreds of years until Revan was released by a well-meaning ignorant player character (he was pissed about that, too). Therefore, logically, Revan is the most powerful Force-sensitive in the known Star Wars universe. He is also the most successful and accomplished the greatest feats including building a massive empire of his own in just four years and then conquering his own empire quickly after the events of the game in canon. You seem to be ranking your Sith off of minor details. For example, Plagueis was a scholar. Woop-de-doo. He still knew less than any Sith from before the end of the New Sith Wars. Plus, this is about the most powerful Darths, and Plagueis is outclassed by literally everyone else on the list and many who are not on it. "The Sith Emperor is the most powerful Force-user who has ever existed. " "The Sith Emperor, history's most powerful dark side master, performed a ritual of incredible scope to consume the life energy of every being on his homeworld." "The Sith Emperor has mastered the dark side's power to become the most dominating Force-user the galaxy has ever seen." "Meet Darth Sidious – the most powerful Sith Master who ever lived." "Instead, Yoda faces the dark side's fury, channeled by the most powerful Sith Lord in history." "The Emperor was completely in concert with the dark side of the Force. 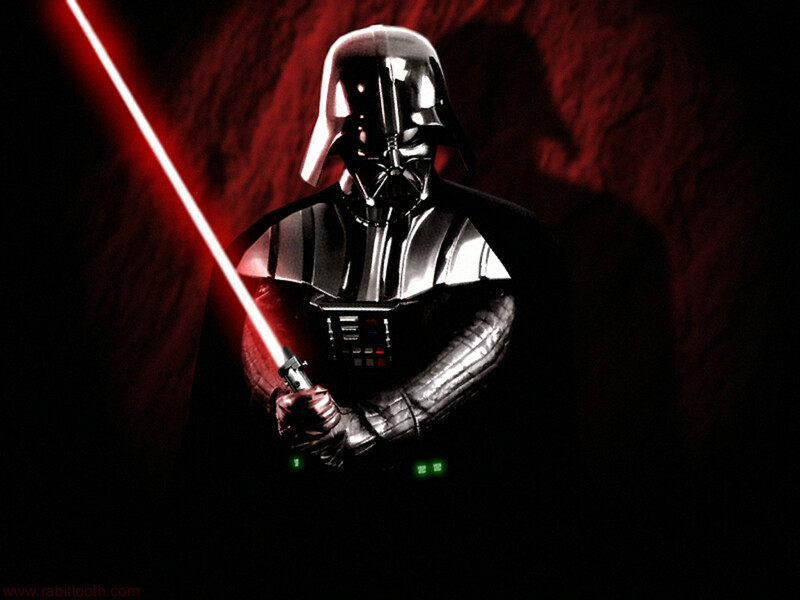 He was the most powerful Sith who had ever existed." I honestly think Vader should be atleast top 5 instead of being number 10. Because Vader was so power, he literally changed the time of day just by lifting his hands. And at that same moment, he literally beat the people who control the Force itself. Exur kun as #1? Please he wasn't even a real sith. Only ones on this list in the right order is vader & Bane. 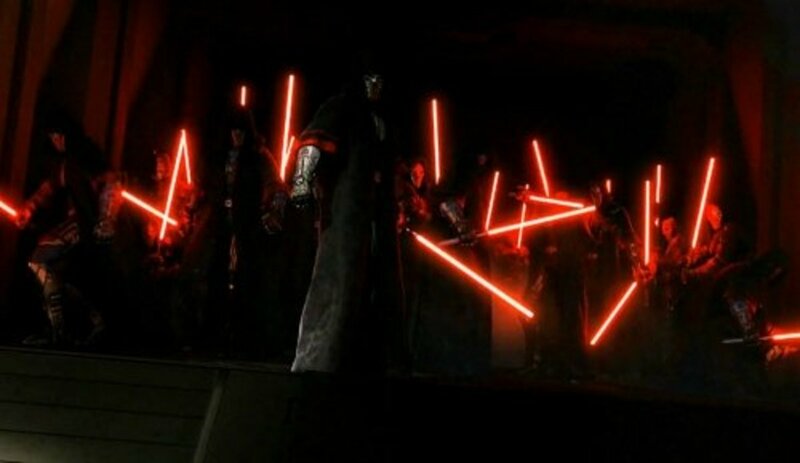 Revan made a god darn army of SITH TROOPERS!!!!! Luke didn't "scream" "I am a Jedi, like my Father before me" at all. He said it pretty quietly, actually. Palpatine is stronger than Exar Kun. Darth Nihilus should be on the list!!!!!!!!!!!!!!!!!!!!!!!!!!!!!!!!!!!!!!!!!!!!!!!!!!!!!!!!!!!!!!!!!!!!!!!!!!!!!!!!!!!!!!!!!!!!!!!!!!!!!!!!!!!!!!!!!!!!!!!!!!!!!!!!!!!!!!!!!!!!!!!!!!!!!!!!!!!!!!!!!!!!!!!!!!!!!!!!!!!!!!!!!!!!!!!!!!!!!!!!!!!!!!!!!!!!!!!!!!!!!!!!!!!!!!!!!!!!!!!!!!!!!!!!!!!!!!!!!!!!!!!!!!!!!!!!!!!!!!!!!!!!!!!!!!!!!!!!!!!!!!!!!!!!!!!!!!!!!!!!!!!!!!!!!!!!!!!!!!!!!!!!!!!!!!!!!!!!!!!!!!!!!!!!!!!!!!!!!!!!!!!!!!!!!!!!!!!!!!!!!!!!!!!!!!!!!!!!!!!!!!!!!!!!!!!!!!!!!!!!!!!!!!!!!!!!!!!!!!!!!!!!!!!!!!!!!!!!!!!!!!!!!!!!!!!!!!!!!!!!!!!!!!!!!!!!!!!!!!!!!!!!!!!!!!!!!!!!!!!!!!!!!!!!!!!!!!!!!!!!!!!!!!!!!!!!!!!!!!!!!!!!!!!!!!!!!!!!!!!!!!!!!!!!!!!!!!!!!!!!!!!!!!!!!!!etc. Vitiate should be first, this description barely touches how powerful he is. He can destroy a planet in moments, mind control armies, and even return to life after death. (Although he is known as Valkorion after that.) Sidious being 2nd? Pfft, some of the other Sith listed pass him by far, he wasn't especially powerful. Really, Someone said Star-killer in the comments? You crazy. Darth nihilus should be in the top 3 he litterly consumed the life essence of people and became so strong his body couldnt contain him. It took two really strong jedi to kill him and even then he became a force spirit. Tulak Hord is the most powerful of all time! Hord single-handedly broke the sieges laid by Jedi to Imperial strongholds in the Yn and Chabosh. Over a thousand Jedi perished in these battles. He even has the ability to pull ships out of the sky! Let alone kill enemies before he is on the battlefield! Sidious and Vader are 1 and 2. They're the original sith. The rest can go in whatever order but they don't pre date and cannot be ranked ahead of the blue print. I'm pleased to see that Naga Sadow is not in the list as he often reaches the top of 'Most Powerful Sith' rankings. However, in 'Tales of the Jedi' serie, he doesn't show exceptional capacities beyond leadership and battle meditation. - Dead siths (as spirits) seem to be more powerful that when alive (Naga Sadow, Freedon Nadd). - Ulic Qel Droma is a skilled lightsaber duelist and that's it. - Exar Kun is highly charismatic but simply collects holocrons and amulettes to get power. Well, it works but still a bit disappointing. Basically, the problem with comic books is that power/actions are directly shown while it is described in novels which translates into more possibilities to evoke force. 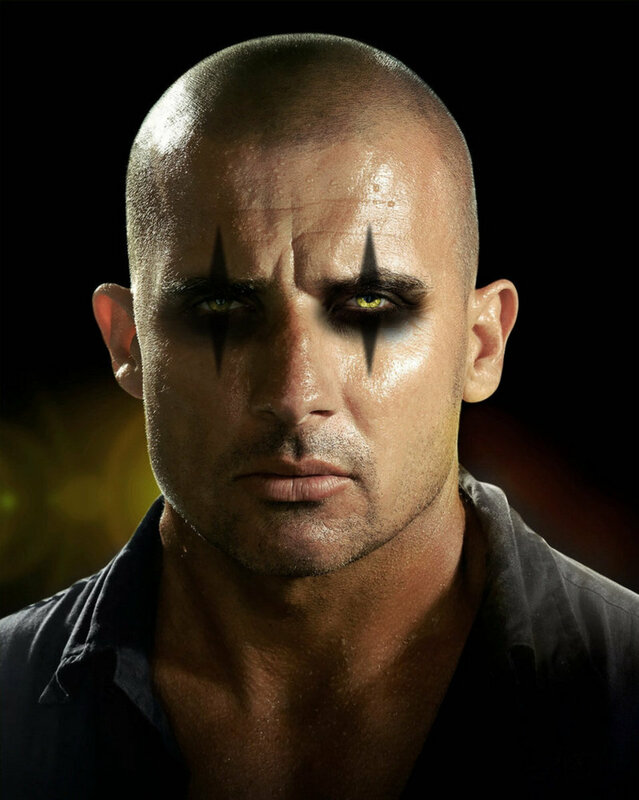 In my opinion, every novel character seems way more badass than any comic character. Where is Darth Nihilus ? Seriously ? I killed Exar Kun and thousands of his future incarnations with mere glance. I erased Darth Satan from all sentient memories so no one remembered him as the most powerful Sith ever. 70% of the people in this comment section has no idea what they are talking about jfc. If you like Star Wars don't read it because there is a lot of false information about the characters and such down below.